Andrew Hogarth is a native of Scotland, long time resident of Australia and a world traveller. During the early 1970’s he trained in the field of graphic reproduction at the Napier College of Science and Technology in Edinburgh successfully completing practical and theoretical exams leading to the award and membership of the London Institute City and Guilds for Graphic Reproduction. Hogarth’s interest in Native American culture was ignited early in his youth and has led him to travel some 200,000 miles throughout the Southwest and the northern and southern Great Plains region of the United States of America over a thirty-two year period. His extensive fieldwork has resulted in three photographic collections and the publication of six books. In 1994, his photographic collection Native Lands: The West of the American Indian debuted as a solo exhibition in Woollahra, Sydney, Australia. The same year Hogarth left full time employment to establish his work in the United States of America. Native Lands made its American debut in 1996 with a showing at the Pioneer Memorial Museum, Douglas as part of the Wyoming State Fair program, quickly followed by a showing at the nationally acclaimed Jackson Hole Fall Arts Festival, Wyoming. 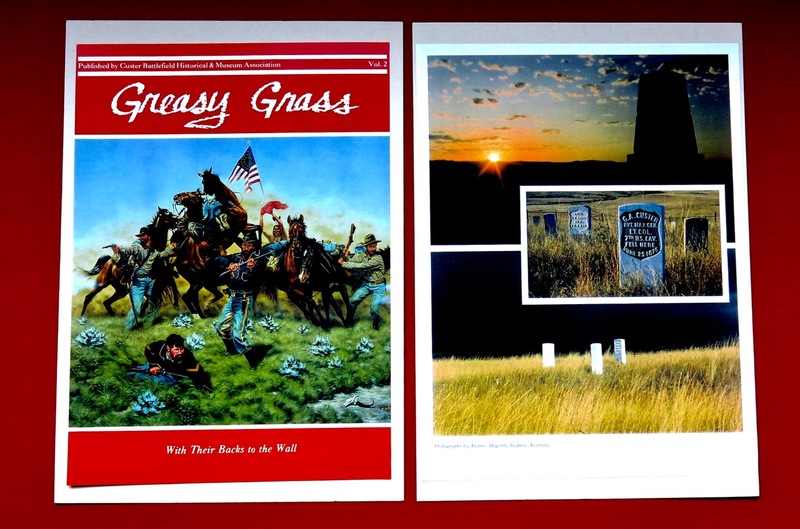 Critical acclaim and strong attendances led to further exhibitions of his work during the summer season of 1997 – Native Lands at the Jim Gatchell Memorial Museum, Buffalo, Wyoming and Battlefields, Monuments and Markers at the Museum of the Mountain Man, Pinedale, Wyoming. Powwow: Native American Celebration, Hogarth’s third photographic collection debuted at the Graphis Fine Art Gallery, Woollahra, Sydney, Australia in 1997. 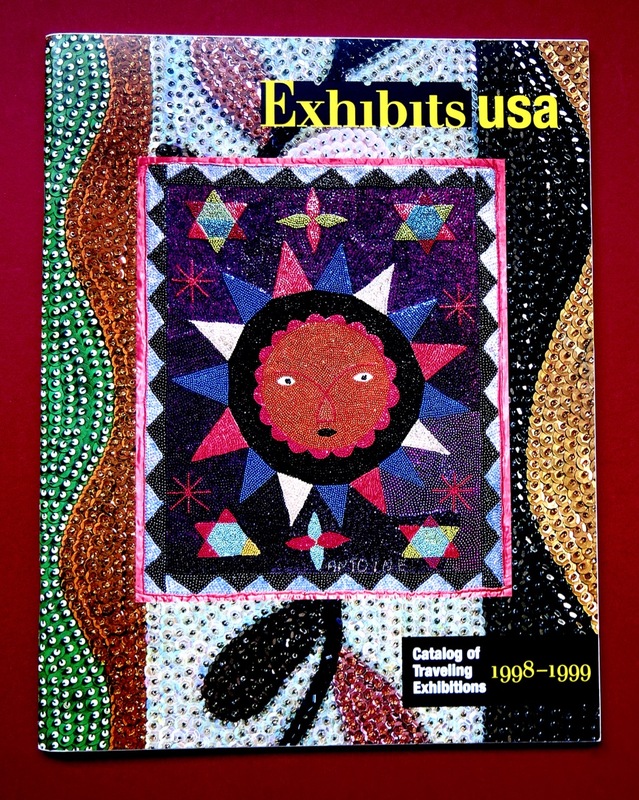 In April 1998 Powwow was one of only fourteen art forms selected worldwide for a three year national tour of the United States of America by the Missouri based touring company Exhibits USA. The tour opened in October 2000 at the Martin Luther King Jr, National Civil Rights Museum in Memphis, Tennessee. Other prominent museums and art galleries that hosted Powwow during this period include: The Sam Noble Oklahoma Museum of Natural History, Norman, Oklahoma; The Sam Houston Memorial Museum, Huntsville, Texas; The Shafer Art Gallery, Big Bend, Kansas; The Clark County Heritage Museum, Las Vegas, Nevada; Memorial Union Gallery, Fargo, North Dakota and the Historic Arkansas Museum, Little Rock, Arkansas. Photographs from Hogarth’s extensive collection have been published in both Australia and the United States of America. 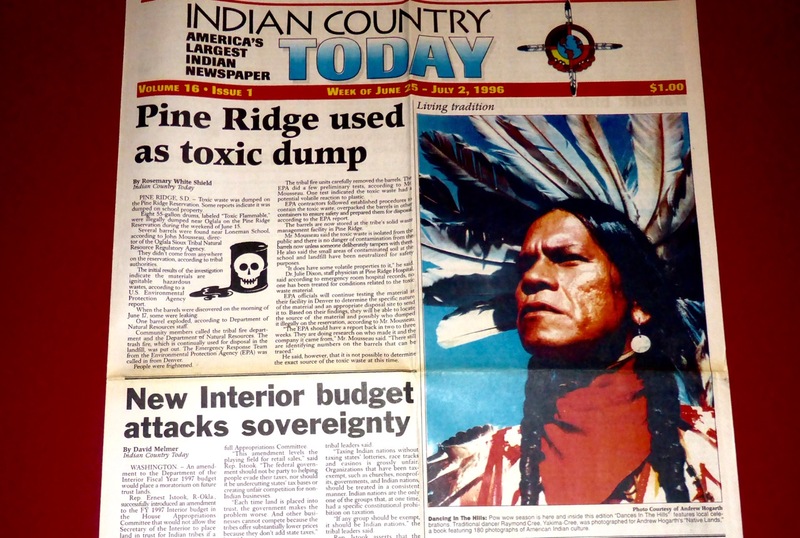 Some of his earliest photographs appear in the 1986 Custer Battlefield National Monument annual colour magazine Greasy Grass while his exhibition image of Yakima-Cree-Umatilla tribal elder Raymond Cree was published on the front cover of the US national newspaper Indian Country Today in 1996. Available in select limited edition format Hogarth’s photographs are included in the collection of the American Consulate in Sydney, Australia and numerous private collections worldwide. In April 2003 Hogarth’s life story featured in the Sun Herald Sunday Life Magazine in New South Wales and The Age Sunday Life magazine in Victoria, Australia. In July 2008 Hogarth exhibited his twenty-five year retrospective Great Plains: Images of Native America 1981-2006 as part of The Healing Arts Program at St. Vincent’s Hospital Darlinghurst, Sydney, New South Wales, Australia. While still continuing to travel and photograph the Great Plains and Southwest of the United States of America Hogarth’s more recent work has seen him collaborate with artists, writers and musicians on a variety of projects. 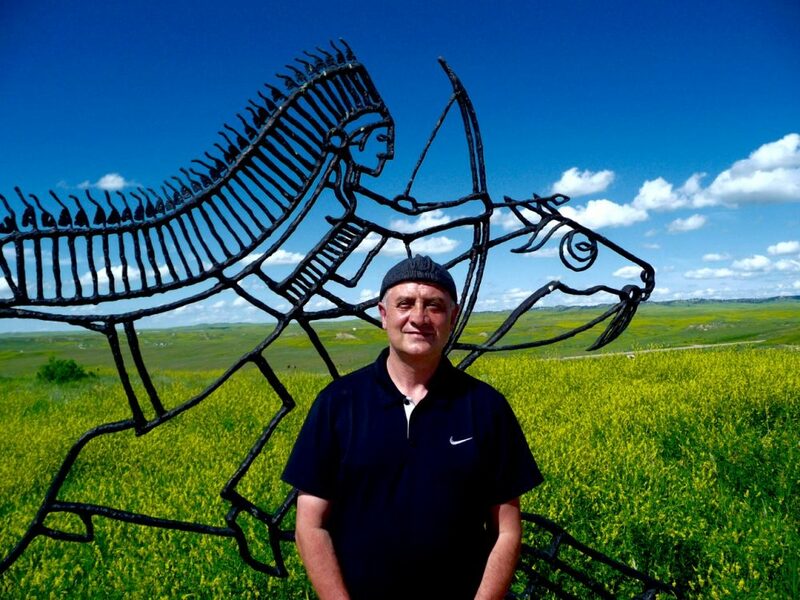 His collaboration with Florida artist Denny Karchner throughout 2011-2013 resulted in paintings of two of his exhibition images, that of Cheyenne Danny Reyes and Lakota-Sioux Jay Eagle. In early 2013 Hogarth’s travels and images featured in and on the cover of the magazine Australian Journey and he was invited to speak at the inaugural Newcastle Writers Festival in Australia. His collaboration with musician Karl Broadie saw his work selected as the cover photograph for Broadie’s fifth album A-Side, B-Side, Seaside. The album was selected for a Tamworth Golden Guitar in early 2014 for Alternative/Country Album of the Year. In moving almost exclusively to digital photography his most recent collection of photographs Native America: Dinetah to the Greasy Grass 2008-2013 debuted in Sydney Australia in January/February 2014 for a second time as part of St. Vincent’s Hospital’s Healing Arts Program. Throughout the last thirty-three years Hogarth has visited with and photographed many people and places from the ordinary to the extraordinary and learnt much from the life and history of the people as well as the beauty and often harsh reality of the landscape. His time spent documenting aspects of Native American and western life particularly portraiture on the Great Plains throughout the latter part of the twentieth century and early this century provide a brief glimpse into a rich and complex world and a visual narrative in the tradition of renowned photographer Edward Sheriff Curtis 1898-1928. Hogarth’s work contributes significantly to the somewhat limited visual record of this period and his experience as exemplified through his photography confirms that despite almost overwhelming odds at its heart Native America is still very much alive in the twenty-first century.